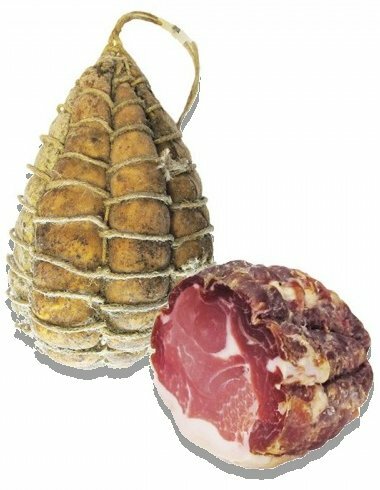 What is the Nebrodi Black Pig Culatello? Are you confused? Let us clarify your doubts. Since the Black Pig thigh can be used either for ham or for culatello, where is the difference? Obviously, in the part used for the production. The culatello is a ham without rind and bone, while the ham has a bone, the rind and classic guitar shape. As a consequence, the Nebrodi Black Pig Culatello is a delicious kind of ham, unmistakable in taste and appearance. I’ll tell you more! It has a characteristic edging of lard in its lower part. Its value is that it does not need particular combinations, you can accompany it with cheese shavings. You can combine those with hard or soft paste with its delicious aroma. Curiosity: It is so called because it is derived from the posterior muscle band of the pig. It is a very fine cut, the culatello is in fact obtained by sacrificing the ham from which it is isolated.